Import and Export support the GeoJSON format version. Open standard format for representing simple geographical features. 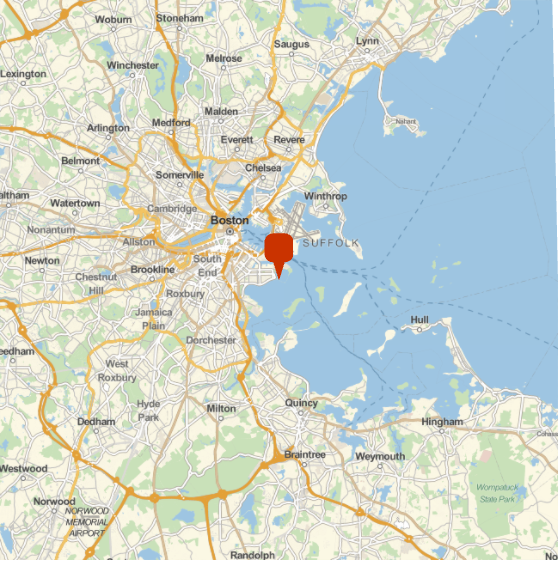 GeoJSON identifies GeoJSON objects with list of rules in the Wolfram Language. 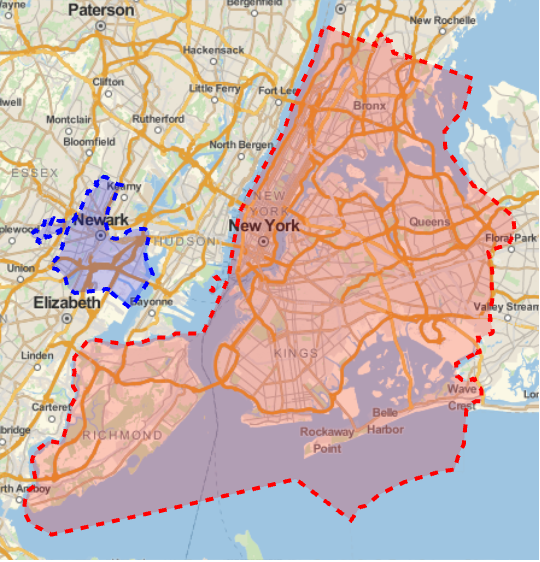 GeoJSON is specified by RFC 7946. 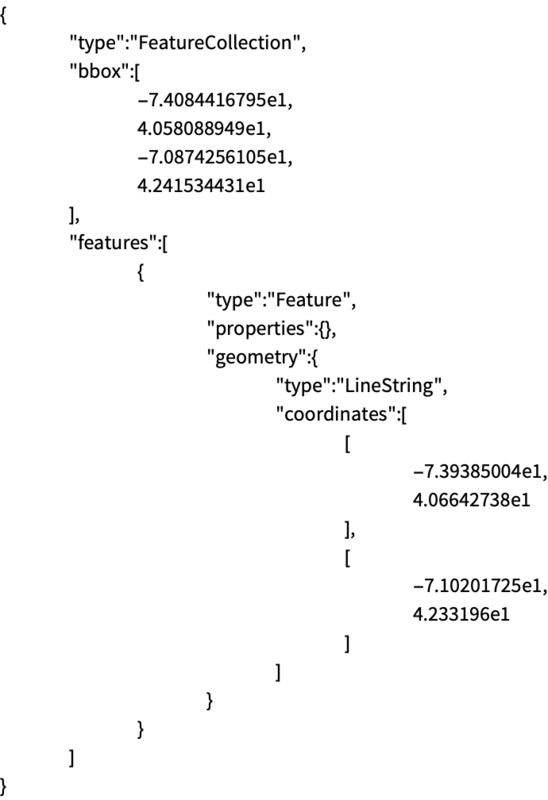 Import["file.geojson"] imports a GeoJSON file and renders it as a GeoGraphics object. Import["file.geojson","elem"] imports the specified element from a GeoJSON file. Export["file.geojson",expr] exports a GeoGraphics or DynamicGeoGraphics expression to a GeoJSON file. Coordinate numbers where scientific notation is used are given in JSON in E notation. The symbols True and False are represented in JSON as the values true and false. 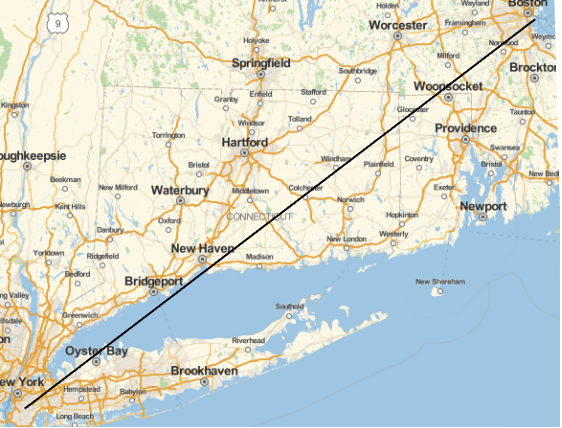 The GeoJSON format does not store geo projection information. Import by default uses the "Graphics" element for the GeoJSON format.